The new BMW X3 Estate is a powerhouse family car that’s spacious and classy. And like all BMW’s, it handles superbly. There’s not a lot it can’t do. Its tech is up to date for 2018, and it’s comfortable and handsome, too. Find out how BMW went from making aircraft for the First World War to manufacturing one of the most popular brands on British roads in our brief history of BMW. However, this is a highly contested sector, and the car goes up against some strong rivals. OSV takes a closer look at what it’s all about with our 2018 BMW X3 Estate review. BMW used the Jaguar F-Pace for inspiration when conceiving the latest X3, and that’s not a bad thing at all. As Picasso once famously said, good artists copy – great ones steal. That said, this car isn’t quite as sharp as the F-Pace, although it’s still genuinely rewarding to drive for something so big. Indeed, you’re rarely aware of its size, and it feels a lot more like a smaller Hatchback once you’re up and running. Its steering is the only thing we have an issue with. As precise as it is once you put your foot down, it’s less accurate in the towns and cities. It performs well on winding roads, however, where you can corner with pace and confidence, its suspension setup ensures that you remain in control. Ride-quality is excellent, with the X3 being able to shrug off poorer road surfaces without any hassle. Off-road? It’s pretty good here and does a fine job of tackling tougher terrain. It’s not as good as, say, a Land Rover, but it makes light work of wet fields on damp days. In terms of its engines, a 2.0-litre petrol engine powers the standard X3 model. It develops 181bhp and can get you from a standstill to 62mph in 8.3 seconds. Should you want to go almost twice as fast as that, your only other petrol option is a 3.0-litre power plant that develops a crushing 355bhp, and which powers the expensive M40i model. It can dust off 0-62 in less than 5.0 seconds, comes with noisy twin exhausts, and can compete with a Porsche 911 in a straight line. And if you’re worried that this model is just too outrageous, it’s actually something of a gentle giant that’s just as comfortable cruising as it is going fast. Once again, BMW have put together a first-class cabin. It’s gorgeously finished, well-kitted out, and sports a clean design that reminds us of the 5 Series. Ride quality is much improved for this latest model, ensuring that it’s a much more pleasant place to spend your time on the road. That said, the brands adaptive M Sport suspension system is only available as an optional extra. For £530, it’s well worth adding. The dashboard, meanwhile, is superbly put together, with the materials used top notch. Leather is standard on all models, as are aluminium and gloss black touches. The instrument cluster isn’t too button-heavy and it’s easy to get used to. It comes with classy digital analogue displays. Is the BMW X3 Estate practical? It boasts a sizeable interior, and you only need to take a look at the car to know it’s going to be roomy. It’s a strict 5-seater, with no room for seven seats, but it treats all five people very well. It’s helped by the fact that it’s longer than last time. Drivers will be happy with the height and reach-adjustable steering wheel, and even taller adults can sit in comfort in the rear. That said, two adults will be a lot more comfortable than three. Headroom is good all-round, and the X3’s boot measures 550-litres. It’s got a good shape to it and can be extended to 1,550-litres when you fold the rear seats. How reliable is BMW? Read our honest assessment of the brand and their cars to find out more information. 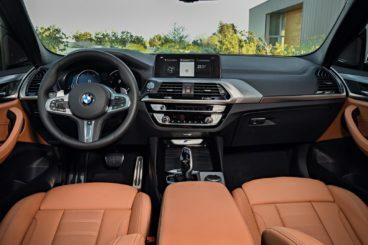 Standard kit is very good across the range, with the entry-level model coming with leather upholstery, the brand’s iDrive system, a 6.5” sat-nav screen, a reversing camera, parking assistance and BMW’s remote services concierge system. The xLine model adds 19” alloys, metallic silver side sills and sports seats, while the ultra-powerful M Sport model almost transforms the X3 into a muscle car with its aerodynamic body kit and more paint options. It also comes with a 10.25” touchscreen, a dark headliner, M-special sports seats and a unique leather steering wheel. In terms of how safe the car is, Euro NCAP gave it a 5-star safety rating on the back of its crash test performance. Its standard safety kit is a bit lacking, however, with the likes of active cruise control, lane departure assistance and autonomous emergency braking all optional for the entry-level model. Prices for the new car start at £39,105 and rise to £51,665. For more information on our leasing deals, you can check out our page here. In terms of its running costs, the 2.0-litre petrol engine that powers the standard model is the most frugal. It can return as much as 41mpg on a good day, while its emissions are pegged at 132g/km of CO2. Despite those impressive numbers, it still has a high BiK rating of 31% however. The larger 3.0-litre petrol engine that powers the M model can manage 34mpg economy at best, and it emits almost 190g/km. This gives it the highest BiK rating there is. It might be a big marauding BMW, but you wouldn’t necessarily know it when you’re taking bends on a winding country lane with all the finesse of a saloon (almost). Space is one of this car’s strong points, and it’s a big step up from the X2. It’s big but far from brash. This is a classy cabin. Big BMW’s always seem to cost more than their rivals. This is the case again here. There’s no option available for two-wheel drive. Let’s see how the car fares against its rivals in the comparison section of our 2018 BMW X3 Estate review. The new Alfa Romeo Stelvio is practical, affordable to run and great to look at. It’s a solid all-rounder that can even match the BMW on the drivability front. It shares lots of its mechanical bits with the Giulia Saloon, and as such can claim a rather sharp driving experience. In fact, we’d go as far as saying that this is one of the most responsive large family cars we’ve ever come across. The steering is electrically assisted and super light, and there’s barely any body lean. If we – and buyers – would have but one criticism, it’s that there’s no manual gearbox available. The car’s saving grace here is that the smooth 8-speed automatic ‘box is so good that you’ll hardly miss a manual option anyway. The brand’s DNA drive mode is standard, and this allows you to prime the car so that it by and large drives the way you want it to. In terms of its engines, a 2.0-litre petrol engine powers the standard model. It develops almost 280bhp and has a rapid 0-62 time of 5.8 seconds. Before you get too excited though, it never really feels quite as fast as those numbers suggest. Moreover, it uses an artificial sound generator to spice things up a bit. Rounding off the range is a high-performance Quadrifoglio model that’s powered by a beastly V6 engine. It produces 503bhp and has a 0-62 time of 3.8 seconds. Running costs? The 2.0-litre petrol engine offers plenty of performance, and it’s also fairly economical. It can manage returns of 40mpg on a good day and emits 161g/km of CO2. The Quadrifoglio model meanwhile, is good for returns of 31.9mpg at best and emits 210g/km. Inside, the Stelvio boasts a top-notch interior that can now rival the BMW, thanks to an upgrade in quality. Alfa Romeo have been more careful with their choice of materials this time around, and the car now feels like a genuinely premium product. It looks good, feels good to the touch, and everything works well. 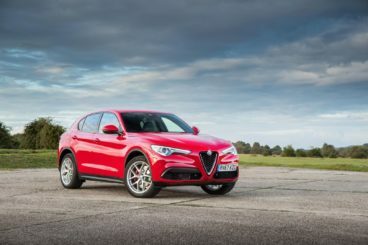 Is the Alfa Romeo Stelvio practical? It’s a bit short on space, and this is one area where the X3 wins. It’s also not as usable on the whole, although there’s no reason why four adults can’t be comfortable, even on longer trips. The Quadrifoglio model, however, is a lot more cramped. Meanwhile, Alfa Romeo haven’t released any official figures regarding the size of the boot, but it looks impressively big. The new Volvo XC60 is a giant of a car that’s as gentle as you expect a Volvo to be. It’s also super safe and remarkably stylish. 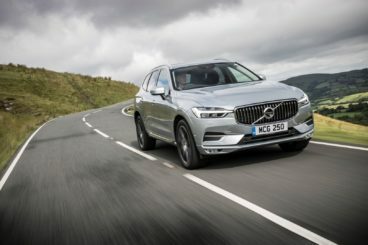 On the road, few people will expect a Volvo to compete with BMW for drivability and true enough the XC60 can’t come close to the X3’s driving experience and handling prowess. However, it’s supremely comfortable, it’s armed with lots of grip, and it does feel reasonably agile – for a Volvo anyway. In terms of its engines, there’s just the one petrol available. This is a turbocharged 2.0-litre unit that powers the T5 model. It develops 251bhp and has a 0-62 time of 6.8 seconds. Not bad at all, and the best thing is that it’s so quiet. On the other hand, it also lacks pulling power. Moreover, it’s not an engine for enthusiasts – far from it – and its automatic transmission gets a bit cranky when you try to rush it. Running costs? Expensive, with the T5 model returning over 38mpg on a good day at best. It has a BiK rating of 34%. Inside is where the Volvo truly competes with the BMW. When it comes to interior quality, it’s class leading. Comfort is excellent, as is refinement, and the seats are so welcoming that you’ll never want to leave. Volvo’s portrait-oriented Sensus system is all present and correct, and it comes with a slick, crystal clear 9” touchscreen. This system will take a while to get used to, but once you’re up and running you’ll be just fine. Is the Volvo XC60 practical? Volvo have prioritised interior space for those up front and those in the rear. Head and shoulder room is perfectly fine all round, although four people will be a lot more comfortable than five. Access to the rear is a bit tricky because the doors don’t open too wide, while the boot measures 635-litres to the roof. Fold the rear seats and you can extend it to 1,432-litres. Designed to take on stalwarts like the Volvo, the X3 had a lot to do if it was to grab more buyers this time around. It’s really raised its game and turned itself into a stellar 4/5 car. It’s refined, stylish and – as ever with a BMW – it’s excellent to drive. It’s also roomy and a lot more usable than last time. 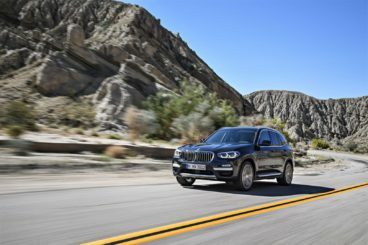 Overall, the BMW X3 Estate should find an audience among families who want substance, style and fun – but due to its high price and lack of seven seats, that audience could still be small.